The one aspect of blogging where almost all the bloggers struggle is finding profitable keywords that will bring visitors to their blogs. Moreover, if they even start ranking for keywords they won’t know how to benefit from it. Whatever niche you are in, you will find some fierce competition in the SERPs and even in terms of social following. There are many tools to check Google ranking of your own posts but do you know how you can determine the keywords that your competitor’s site is ranking for? If you want to find the keywords that your competitors are using and ranking for then you won’t be able to do it with a single click but you will have to do some detailed research to come up with the most accurate list of their ranking keywords. Today, in this article, we are going to see some tools and resources that we can use to determine the keywords our competitors are ranking for and what to do with once we find those keywords. You might already know that we can use Google Analytics and Google Search Console to check the keywords of our own site but what to do when we want to check the ranking keywords of our competitors’ websites? There are many tools that we can use to do competitor keyword research but I personally use SEMrush and in this article, I will reveal my step-by-step process so that you can replicate the same process to know keywords of your top competitors. Create an Excel Sheet and put in all the keywords that your competitors are ranking for. By doing so, it will be easy to use them in the later steps. SEMRush is the best tool to learn almost everything about a website – it might be yours or your competitors’. So how can you use it to research the ranking terms of your competition? Go to SEMRush and type in your competitor’s website URL in the search box and hit enter. As you can see from the image above, you can learn about the keywords the website is ranking for and also you can see the position it is ranking at in the search results. Click here to Tweet this technique! You can also know about the monthly search the keyword is getting and the CPC as well. By looking at the SEMRush chart, you can determine whether a keyword is profitable or not. By default, the SEMRush tool determines the rankings on Google search engine (US version). However if you want to see the keywords ranking in another country then you can do so easily by changing the country from the top. Also, if the website has keywords ranking in Bing search engine, then you will be able to see that as well. You can create a 30-day trial account with SEMrush to conduct your research and then if you like the service, you can upgrade to one of its standard PRO plans. OpenSiteExplorer is an amazing tool to learn about the website’s stats and rankings easily. You can check the Domain Authority, the Page Authority and the Linking Root Domains and backlinks using the tool. Now enter your competitor’s website URL in the search box and hit the search button. Then go to Top Pages from the left-hand side menu. The posts that you see in the Top Pages section are listed based on the Page Authority of those posts. It means that the post with the highest Page Authority is placed on top of the others and the other posts are listed accordingly. As you can see in the above screenshot, you can get the article’s title and URL, see its Page Authority, the number of linking root domains and even the inbound links to that particular post. I admit that this page on OpenSiteExplorer won’t show you the exact data that you are looking for but you can find some amazing keywords using the Top Posts section. You can check for the article that has the best Page Authority compared to others and has more number of inbound links and linking root domains. Since people are linking to these articles, you can tell that the topic is an interesting one and people would love to read about it. So you can find some profitable topics using this tool even though your competitor might not be ranking for that term. Another awesome tool to check every aspect of a blog is SpyFu website analysis tool. You can use it to analyze any website for free and even check the terms it is ranking for. To start using the tool, go to Spyfu and enter the website’s URL and hit the enter button. It will analyze every single thing of the website and give you a complete overview of the results. As you can see in the above image, it not only shows the number of organic keywords that the site ranks for but also shows how many organic clicks it gets. You can also see the number of keywords that made it to the first page and the ones that fell from its rankings. To see the keywords the website ranks for, you can either click on the organic keywords tab or go to SEO Research > SEO Keywords to get the complete list of the ranking terms. If you want to check for new keywords, then you can see the Rankings History tab by going to SEO Research > Rankings History to see which keywords are rising in the search engines results. SpyFu is a paid tool but it also offers a free version to check for your competitor’s ranking terms. However, you won't be able to check all the data because the free version only shows partial data. There are many other tools out there that you can use to find out the best keywords that your competitors are ranking for. Here are some of the best tools that you can use to dig out more profitable keywords. Alexa is a great resource to learn about a website’s traffic growth. It’s known that a lower Alexa Rank signifies that the site is getting high traffic. Scroll down a bit and you will find the keywords that the website is ranking for. Unless you have a PRO account with Alexa, you won’t be able to see all the keywords. But it still shows you 5-6 top keywords that brings the majority of traffic to the website. In this way, you can use Alexa.com to find some of the top keywords your competitors are ranking for. SimilarWeb is another great tool to get all the SEO details of your competitors’ as well as your own websites. You can go to SimilarWeb and enter the website’s URL to search for all the details about the website. You can learn about the estimated visits, the traffic sources, the top countries and the referring websites that send the most visitors. It also shows you around 10 keywords that the website ranks for and the search engine where the keywords rank. What to Do After Having the Keywords List? 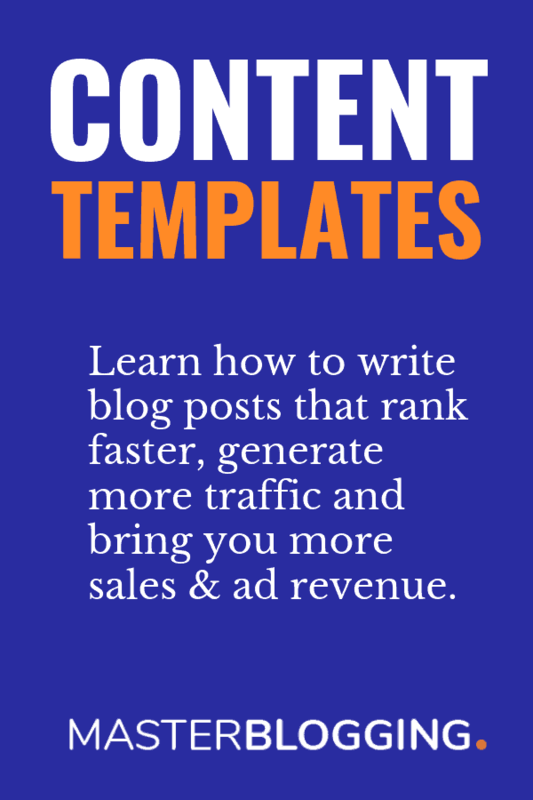 I hope that after following all the steps mentioned above and using the research tools, you will now have an Excel sheet filled with potential keywords that are ready to be used for your next blog posts. But before you start working on them, you need to complete one more step. This is an optional step but I recommend you to do it anyway because it will determine whether the keywords you have found are worth ranking for or not. If you want to know how to do keyword research and find the most profitable long tail keywords then check out my post on how to find long tail keywords! Go to Google Keyword Planner and punch in the keywords one-by-one to see the competition and the monthly search volume. If the competition is high and the search volume is huge, maybe you need to look for alternative keywords. As you can see in the above image, I searched for “plagiarism checker” keyword and though the competition is low but the search volume is huge. So instead of working on the keyword, I would look for alternative keywords. Check the keywords that are suggested in the tool. From the above image, you can see that I found some amazing alternative keywords – online plagiarism checker, free online plagiarism checker and others. These keywords have low competition and moderate search volume making them perfect to work on and it’s possible that my article will rank for that keyword easily. Once you have zeroed in on the keyword for your next post, perform a keyword difficulty analysis using the “ allinurl ” and “ allintitle ” parameters in Google to see the competition you will face in the search results. Click here to tweet this expert tip. Once you have completed all the steps above, the final and the most important step would be to write an informative article focused on your chosen keyword. Remember to add the best resources to support the points in your article, give out all the information you can find and don’t hold back. You can improve the keywords ranking in search engines by following some on-page SEO tips to give it an extra boost in the search engine results page. How To Check Keywords Your Site is Ranking For? This one is pretty simple because you can just go to your Google Analytics dashboard or to your Google Webmasters tools account to look for the keywords your blog is ranking for. Check search queries in Google Analytics to know your ranking keywords. Another way to check your blog’s ranking keywords is to go to Acquisition > Campaigns > Organic Keywords. This feature shows you all the keywords, but most of them will be in the “not provided” category. Get your Organic keywords from your Google Analytics account. There is yet another way to determine the rankings of your blog posts and that is by researching for the most popular pages on your blog. If you know that most of your visitors are coming to your website by landing on a particular article, then you can easily make out that, that particular article might be ranking for multiple terms. So to find out the most popular pages on your website, log in to Google Analytics and after selecting your website, go to Acquisition > Search Engine Optimization > Landing Pages and you will see the posts that get the highest impressions and clicks. Check your Top Landing Pages in GA account to know your Organic keywords. As I said in the above section, you will have to link your Google Analytics account with your Google Webmasters account to check for the keywords in the Acquisition tab. But if you don’t wish to do it then you can simply log in to your GWT account to check for the ranking keywords. To do this, simply log in to your Google Webmasters Tools account, select your website and then navigate to Search Traffic > Search Analytics using the left-hand side menu. By default, it will show you the queries your site is ranking for and the number of clicks these queries get. You can use the top tab to enable the Impressions, CTR and Position to check all the details of your ranking terms. Moreover, you can also view the data in terms of top pages on your site, you can view which country sends you the most traffic and the devices that your visitors use to visit your website. Get your Organic Keywords from Search Analytics in Google Webmaster Tools. So that was how you can check the keywords that your own site is ranking for. You don’t need any other tools to determine the ranking terms because Google Analytics and Google Webmasters tools gives you the most accurate data. I hope that after reading the article completely, you won’t have any doubts and you won’t face any difficulty in spying on your competitors’ keywords. However, if you still have some doubts or you are not able to find the best possible keywords then please leave a comment below telling me your query and I will do the best to address it and solve it for you. Also, please share your feedback via the comments section below and tell me if you liked this article on how to find keywords our competitors are ranking for! very detailed article, no doubt if you can analysis your competitors effectively then you can beat them easily as well but first of all you need to know their Strengths and Weaknesses. Really a good way to track keywords of our competitors, I will surely give a try got to know about a new tool i.e Spyfu. I have never tried analyzing site of my competitors. These tools are awesome . But the problem is that these tools can be useful only as a pro version . The free version do not provides much data . Thus these tools wont be helpful for new blogger who do not have any budget . Thus please write a post mentioning some free ways by which newbie bloggers can also spy on their competitors for free . Keep producing such wonderful content ! Thank you for this very complete tutorial. I just checked out spyfu and it has very comprehensive data, even on the free version. Again a great post from you Ankit! Keeping an eye on competitor’s keywords is essential in blogging. I aware about checking the KWs we rank for through Google Webmaster and Analytics. I know that it can also be done with Opensiteexplorer.com and yes, I have Moz account. But Spyfu tool is new to me, I’ll have a look on it. Good to see that you’re using a content locker to grab more social cues. I use Alexa as you said but unaware of SimilarWeb. Thanks for presenting an helpful post for us. Keep doing the same, have a good day! I have started this new blog recently and I am trying to share as many tricks as I can too. This is really informative for all novice blogger. Ankit, the above was a brilliant tips about keywords analyzing. I really love it..
Actually, conducting keywords research and analyze the competitors rate is really important for search engine optimization. Choosing the right keyword phrase will helps your post listed on higher position on Google listing. You’ve added more value to your article by providing valuable tips of keyword monitoring here. I’d admit that researching for right keyword is really important, but optimization and monitor keywords ranking is really important for seo. It helps to understand why your article could rank or ranked on top. then how of solution will came after why.. Thanks for posting such a wonderful article. Its essential to find such a keywords. As per your last articles @ google webmaster and google analytical, it also help us a lot to find different keywords. Semrush is the best method. Really awesome and well written and described article. I am currently using spyfu and semrush to check my website’s stats. But i like to use this new tool. Thanks for share this. I read all blog post in a single week.intresting writing skill + good social promotion thanks for sharing. This is a very cool and interesting topic. Marketing and business world is cutthroat and competition is getting stronger. We live in this digital era where we can use tools and different tactics to spice up everything we have and by spying what our competitors are into etc. The list above is all great keyword tools to use to see what your competitors are up to. SEMRush is a tool that allows you to enter a domain and view ten of the top keywords that the website ranks for organically, showing the keyword and etc. All in all, thanks for sharing all of these tips and tools. I will keep in mind the important things and knowledge I’ve read here. Thank you for sharing your insight. It’s an awesome post! This is a well-written post with value to niche marketers. There is no doubt that understanding what the competition is ranking for will give a site an edge to profit from convertible keywords. Thanks for sharing the necessary tools to use. Great post on checking your competition and from your own site for keywords! Thats the one thing that’s going to help you get more search engine traffic. Having the right keywords that rank well so that your post can be found. I use SEMrush and also Buzzsumo’s site to find keywords and great titles that are getting a lot of shares. I also check Google Analytics for Landing pages, but I never checked the other metrics you mentioned here. I’m definitely going to take note of this and bookmark this post! Thanks for sharing Ankit! Have a great rest of the week! Finding the right keywords is the game. Find potential keywords, write awesome content that is worth sharing and linking, promote it massively and you are done. Your ranking and traffic will automatically increase with time. This is what I follow all the time. Yes, I also use SEMrush and Buzzsumo. Both the tools are so awesome and we can easily leverage them for our benefits. These tips are powerful ways to find out the keywords of our competitors, step by step guide is excellent in explaining the message, I thoroughly enjoyed reading this post, I too use SEMrush and Google planner for keyword research but I never heard of Spyfu, thanks for sharing the information, see you soon. Loved the post title, it drew me in to read. BTW, I really like the way your Blog site is laid out. It’s got clean lines and a great readable font. Awesome. Like so many others, I’m always curious about what Keywords the competition is ranking for and why (if I can figure that out). You’ve provided great details on how to use Google Analytics and/or GWM tools to check keywords a site is ranking for. The screen grabs are really readable and well documented as well. How to Check Competitors’ Keywords was nicely explained. I’ve been using Open site explorer for some time now and I’m pretty happy with the results delivered. I’ve often noticed that while SEM Rush is a recommended tool to use, it used to give a whole lot of problems, including Google getting annoyed with its use on occasion. This is why I discontinued to use SEM Rush. I wonder if those issues have been resolved? I shall take another look at SEM Rush immediately. Spyfu is really great for checking out competitor site information, including keywords. While Spyfu seems a tad costly the value that it delivers in return if used properly can have the most awesome effect on boosting the SERP ranking of your website as well as affiliate income. You have beautifully rounded up this post by explaining what to do after getting access to interesting keywords list. There is a ton of real valuable content here Ankit. Thanks for sharing. Thanks for sharing another lucrative online tool which is very useful for finding your competitors keywords. In fact I never heard this spectacular tool before. But I definitely try this tool in future. Great and informative article on finding competitors keyword! I have one question, do allintitle and allinurl still effective to know how many competing pages on the SERPs? I hope you will give answer! I have one website and last month my 5 to 10 keywords are on the top of the googles first page. But now i don’t know what happen they all are disappear from first page of the google search results. Please suggest me some tips. Is their reason a keywords competition ? Dear Sir, Good Info overall and useful too. I have been using Opensiteexplorer free version since new to this blogging Industry. Your post has helped me out to find some essential keywords as per competitive search tutorials on Google Analytics. Can you post an upcoming article in detail on finding competitors keywords – either “free” or “low-cost paid” tools so that it can be helpful for new bloggers like me. So far good. But we need more about free tools information – because for paid one we get directly help from them. Why would you need to check it again on Google Keyword Planner to check the search volume? SEMRUSH already did it for you, and you can check it again on SEMRUSH? Also, nowdays Keyword Planner won’t show exact monthly search, only a ranged volume, unless you’re a big advertiser. Is this article outdated? I love this post as well as writing skill too. You well described to find competitors keywords. Thanks for sharing with us. This is priceless post, I learned a lot from it.